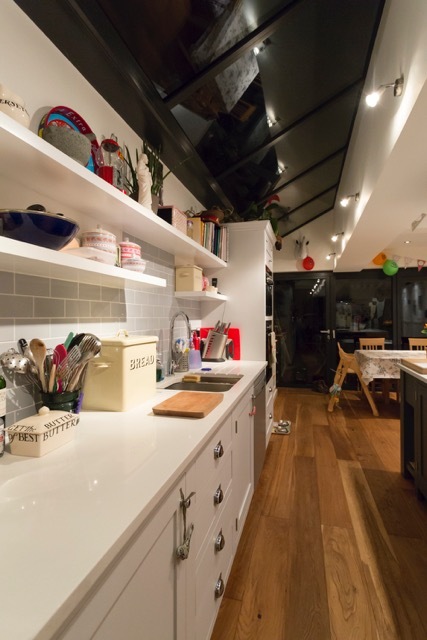 Kitchen floating shelves have to have style & reliability. As with all the shelves, bespoke nature produces, the need for them to be reliable is paramount. This is even more so in heavy use areas such as the kitchen. Insecure shelves can cause damage to your walls, the items placed on the shelves and any appliances positioned below the shelves not to mention the people in the home. It is important for you to make the most of your space and this is why made to measure shelving can help you to utilize the space that you have in your kitchen. The need for different pots, pans, plates and ingredients in your kitchen means that there is a need to have a floating shelf capable of holding what you need. The strength of the shelves that we make for you will fulfil that need. We have help client’s from all over the country and even as far afield as the USA and Australia with their Kitchen floating shelves. 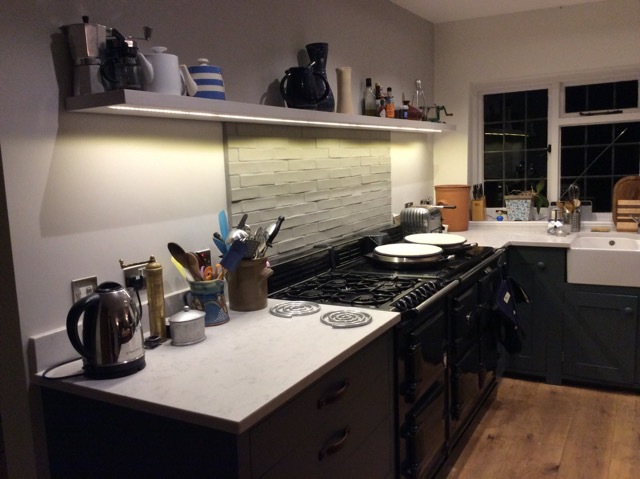 Optional extras include LED light strip, LED downlights or even pan hanging rails for floating shelves can be requested for your kitchen floating shelves adding another aspect of usefulness. We are able to offer reliability and sturdiness on our floating shelves up to a well-stated weight which will ensure that you keep all of your belongings, your loved ones and your home safe at all times. If you want to get the best use from the space in your home with clean lines and contemporary design. 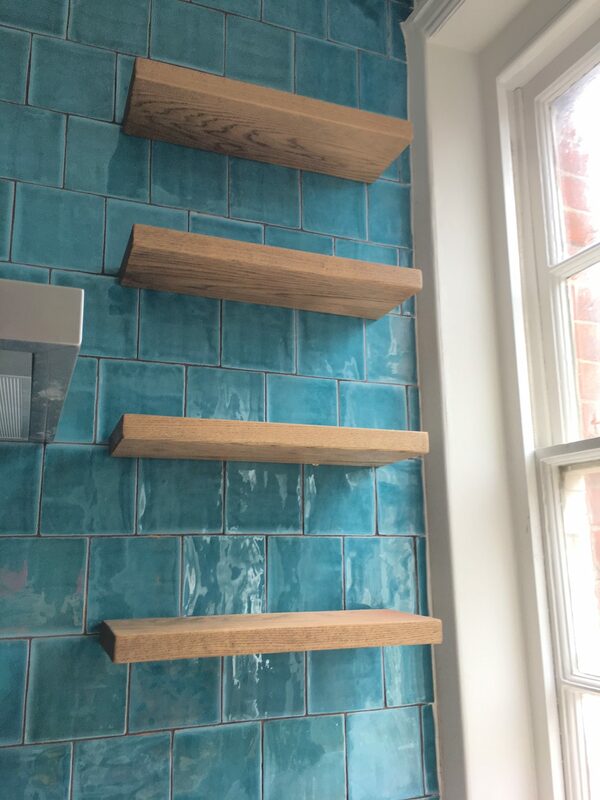 Bespoke Nature can provide floating shelves that offer everything you need. 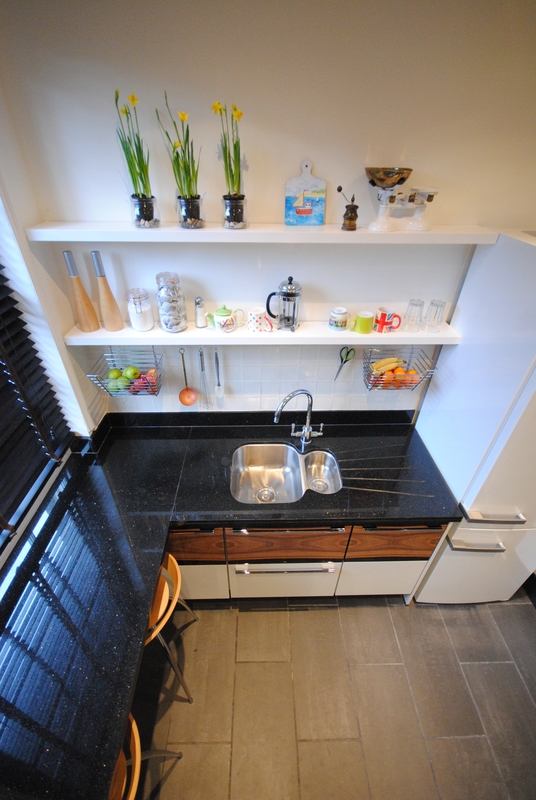 Kitchen floating shelves to suit your needs are available. 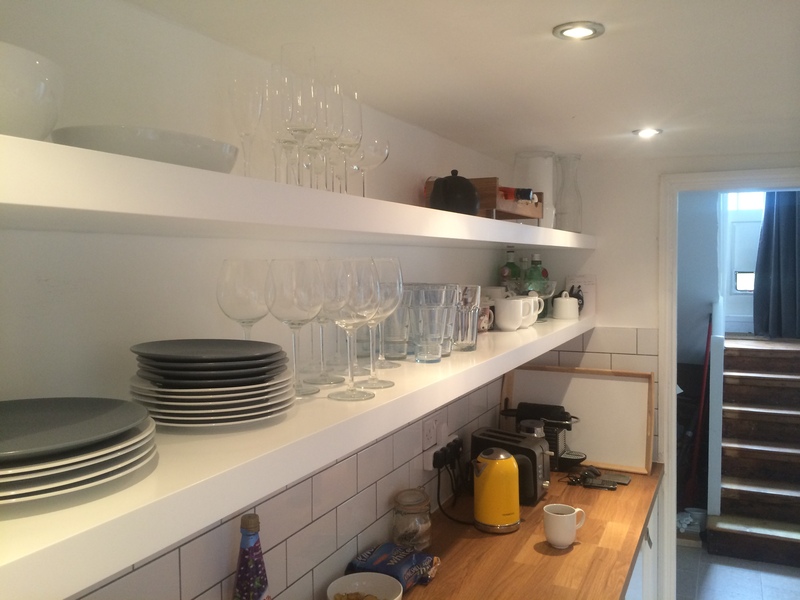 The beauty of made to measure kitchen floating shelves is you get to decide the length, depth and the colour of it. create the perfect floating shelf for your Kitchen. From Deluxe to Farrow and Ball we can match any paint finish required. When it comes to value for money, surely having a shelf made to your exact needs and specifications provides a greater level of value for money than an off the peg shelving solution that does not fit or will start to sag in a matter of weeks. our custom made floating shelves not only have the strength to hold what you need but they can enhance your room too. Annoyed at the gap where you think something more useful and efficient can be. You should be looking to embrace the individual nature of your kitchen as opposed to shying away from it. These are things that can make your kitchen unique to you.